Our services include design, construction and renovation of swimming pools, structural landscaping and garden maintenance. We are licensed in pool and landscape building, with projects ranging from small projects to multi-million dollar projects. We maintain a clear focus of our client’s needs and aspiration and provide quality services and workmanship at a reasonable price. Family operated business: personalised customer service … you are an individual, not just a number.  For your peace of mind we have 30 years of industry knowledge and experience in the local Sydney metropolitan area. Each project receives our personal attention so your project is completed to the highest possible standards. All our products and materials are of high quality to meet all relevant standards. All our tradesmen are trustworthy, reliable, punctual, well-presented and have been handpicked by us for their expertise and workmanship. We take pride in ourselves for being honest and always have good communication throughout the duration of your project so you always know where you stand with us. You will be 100% satisfied with your project and our service; we know how important it is to complete your project on time. With our experience in the building industry, all costs are accurate, even down to the smallest detail. Any changes you choose to make that incur extra cost will be explained in detail so you make an informed decision.